"The Creator fitted you for child-bearing and when this period has run its allotted course, He reconstructs your physical nature for another line of work. 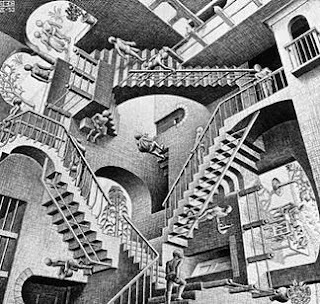 In doing this you pass simply and easily, from the reproductive or child-bearing period into one of sexual inactivity." Thankfully the role of women in society today has progressed somewhat since 1902! The right to birth control was a landmark in the history of women' s rights. 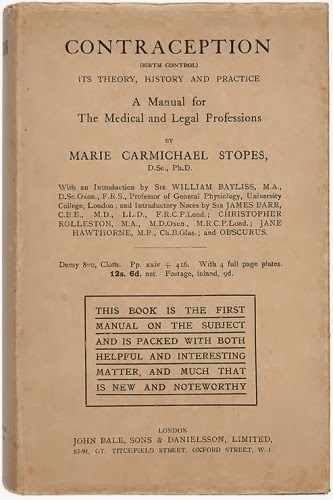 As the rare dustwrapper states, this is the first manual on contraception and was published three years after Stopes first opened the Mothers' Clinic in Holloway, north London, where midwives and visiting doctors gave mothers birth control advice and taught them how to use the contraceptive cap, of which she was a keen advocate. 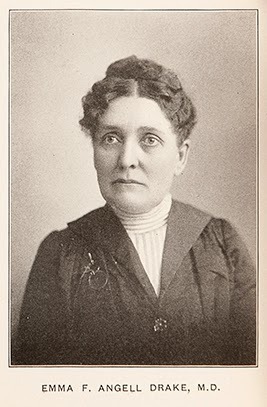 The publication was also simultaneous with Stopes's court case against Halliday Gibson Sutherland, a Catholic doctor whose book Birth Control had condemned her views as obscene and dangerous. 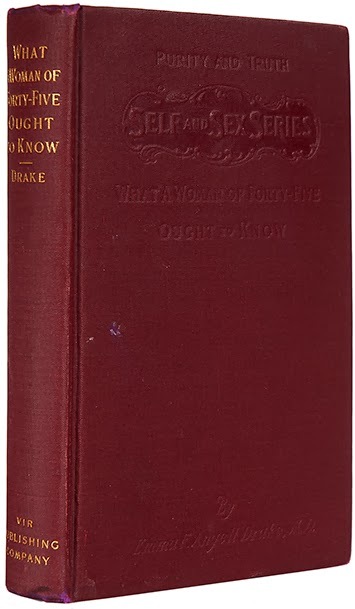 She sued him for libel; though she was ultimately defeated, her courtroom arguments reached a wider public than before and provided the impetus for this book to spread her influence even further (and pay some of her legal bills). This is an important document in the history of birth control, both a product of its time and a predictor of the future. Throughout history, dress has had an important part to play in how we conform, or don’t conform, to society and culture. This original La Vie Parisienne magazine cover from 1925 perfectly depicts a fashionable young woman of the time embracing the new flapper style of the ‘roaring twenties’. With her loose-fitting, uncorseted dress she appears to disregard Victorian ideals of the feminine. 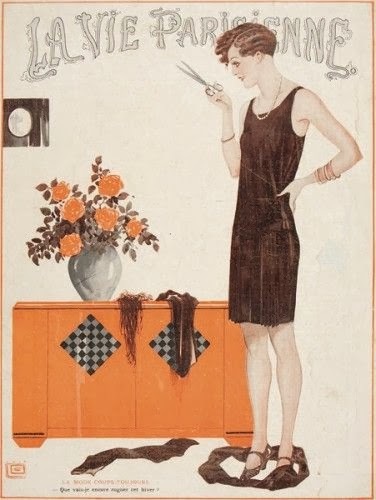 Taken to the extreme, this flapper is dramatically wielding her scissors like a weapon, and cutting away at Victorian tradition by trimming her hemline to shorten her skirt to above the knee! Its hard to imagine a more significant breakthrough for women than the right to vote. 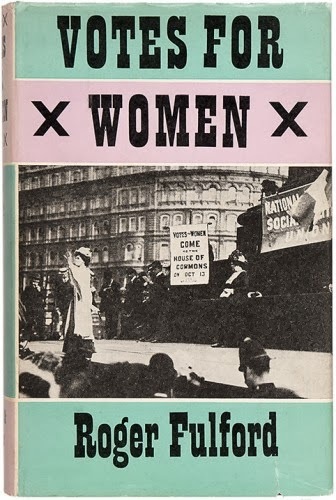 Roger Fulford's 1957 book (pictured right) won a £5000 prize from the Evening Standard and is a lively history of the fight for women's suffrage in Great Britain. A good read despite frequently referring to the women involved as 'ladies' (well it was the 50s!). Henry Sotheran are currently preparing a catalogue dedicated to inspirational and influential women throughout history alongside fascinating documents illustrating the ever-changing role that women have played within society. Please click here to request a copy.